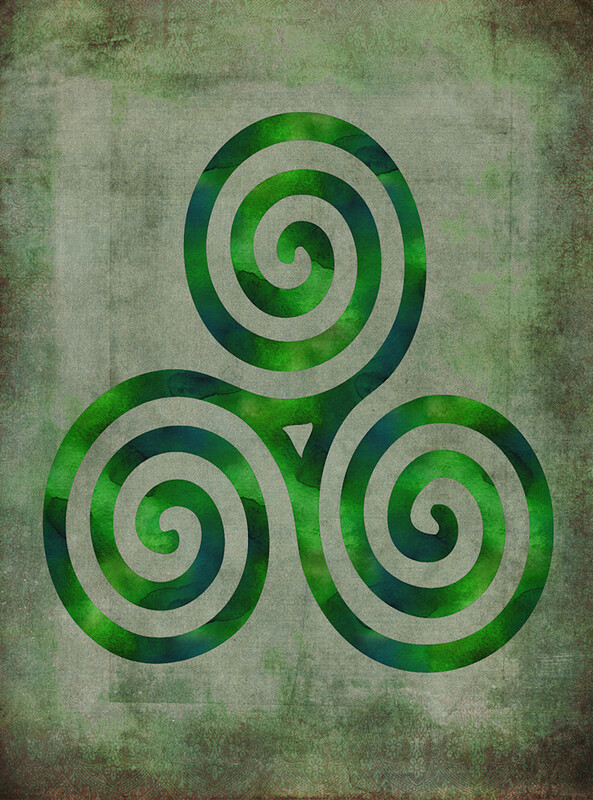 The triple spiral or triskele is a Celtic and pre-Celtic symbol found on several Irish Megalithic and Neolithic sites. Most notably at Newgrange inside the passage tomb, on the entrance stone, and on some of the curbstones surrounding the mound. Some say it represents the sun, afterlife and reincarnation while others believe it has come to represent the trinity.